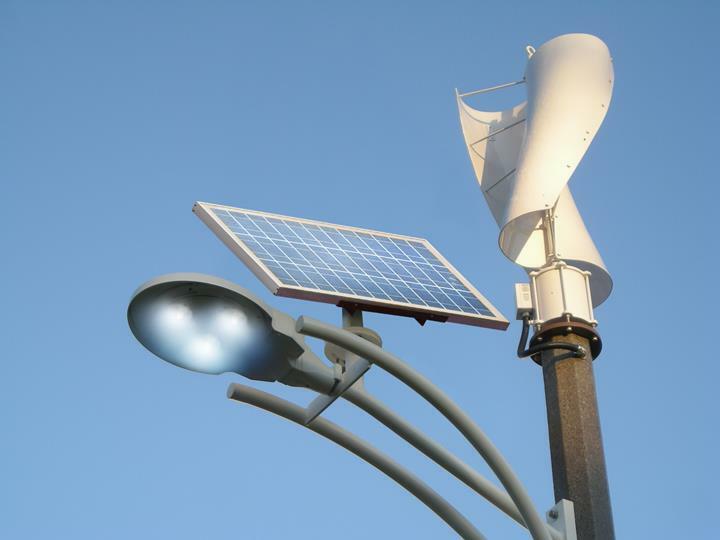 A new concept design of street light has been introduced that will be powered by wind and solar energy. These new hybrid street lights placed at the height of 10 meters and equipped with an array of LED lighting. 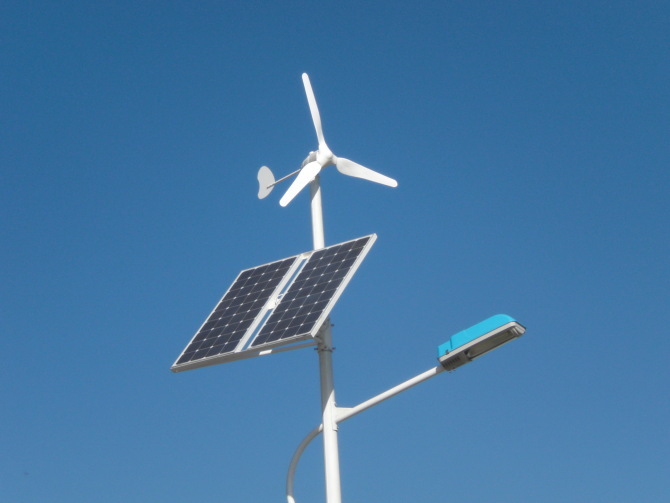 The prototype also sports photovoltaic panels, a battery pack, a wind turbine and an electronic control system that is responsible for the flow of energy that takes place between these components. The turbine has composite-blades and it springs into action when wind speed reaches 1.7 meters per second. It executes 10-200 revolutions per minute and cranks up a power output of 400 watts. There are plans of incorporating a 2nd gen turbine that will work with an rpm of 10-60 while creating 100 watts in the process. 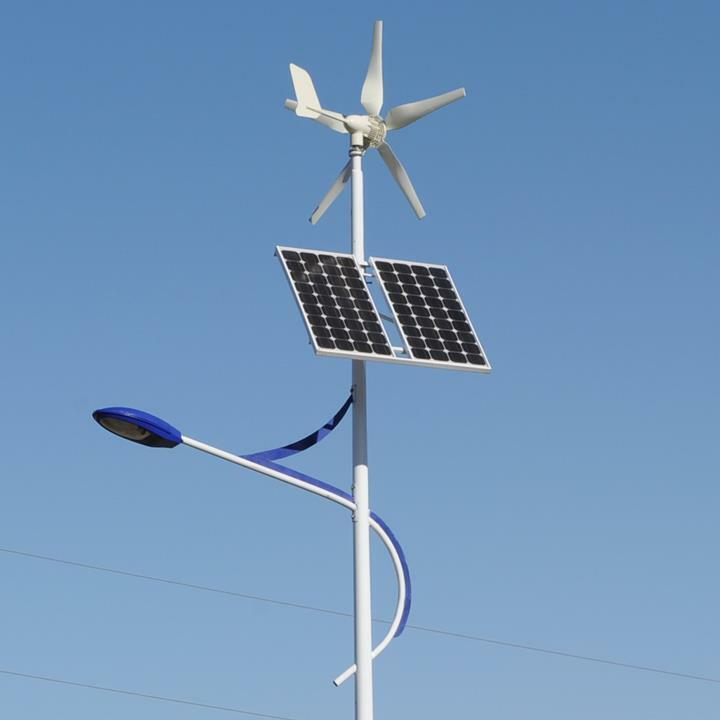 As per plans, the commercialized version will feature two solar panels with a power rating of 100 watts along with an array of Phillips LEDs that can generate 3500-4000 lumens based upon the model of the streetlight. The product will also be containing a battery pack which will reportedly be able to store enough power to keep the light running for almost 3.5 nights per single charge. 99 of these lights will be able to relay status updates over UHF to the central station while working off the grid once every 30 minutes. This will enable the station staff to take care of any technical problem when and if it arises. Solar power is most useful in producing power at less cost.